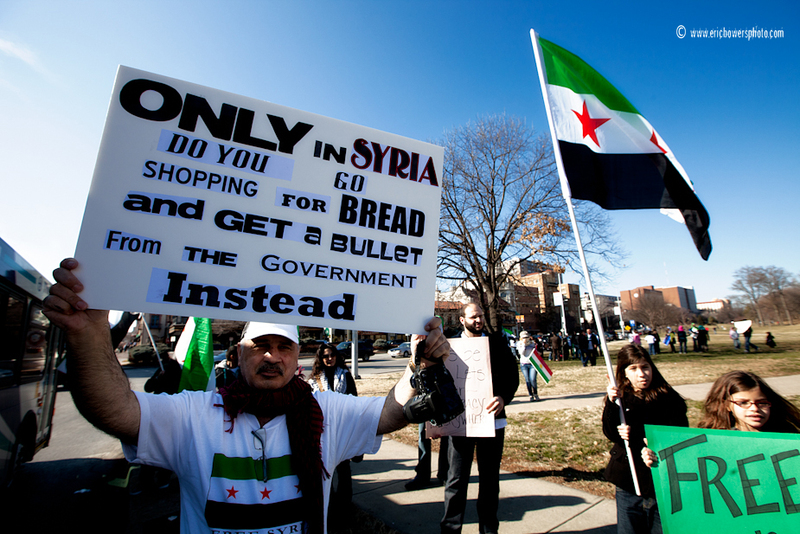 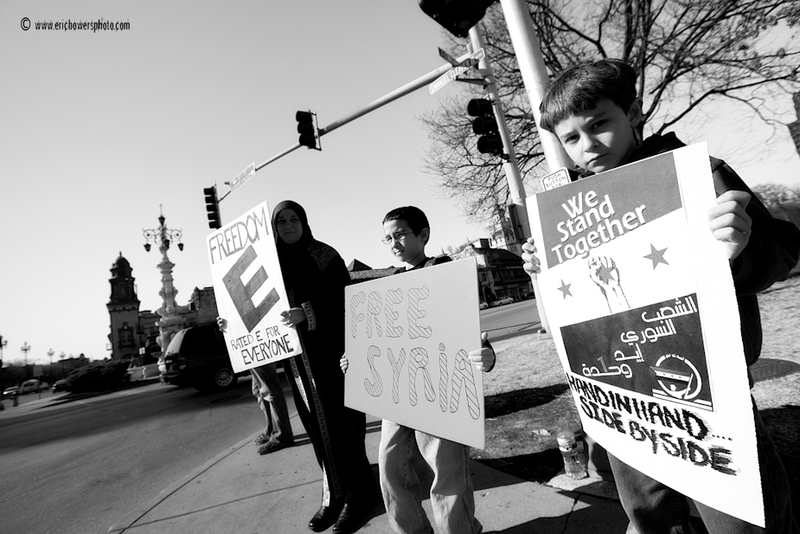 As conflict goes on between rebels and Syria’s Bashar Al-Assad government, a protest took place again on the Plaza Sunday afternoon. 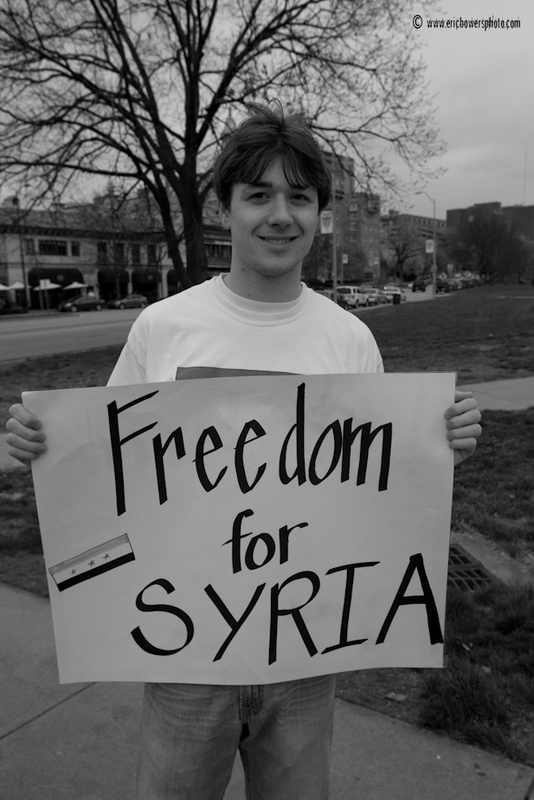 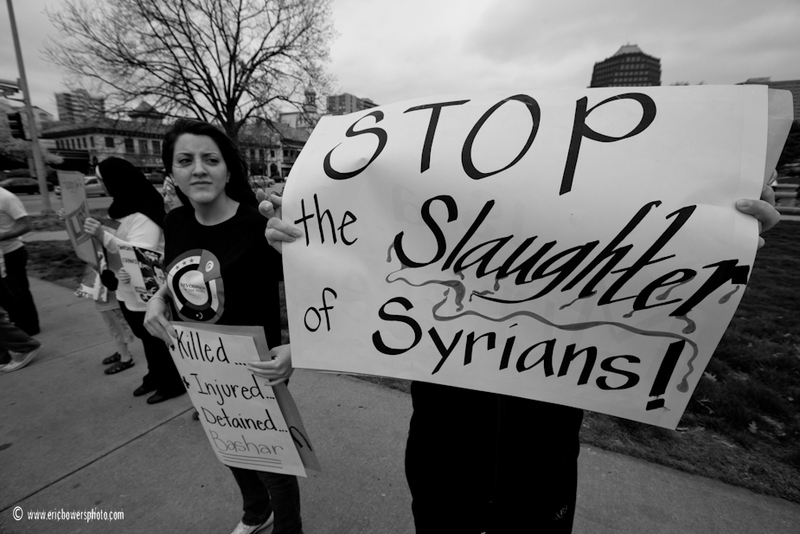 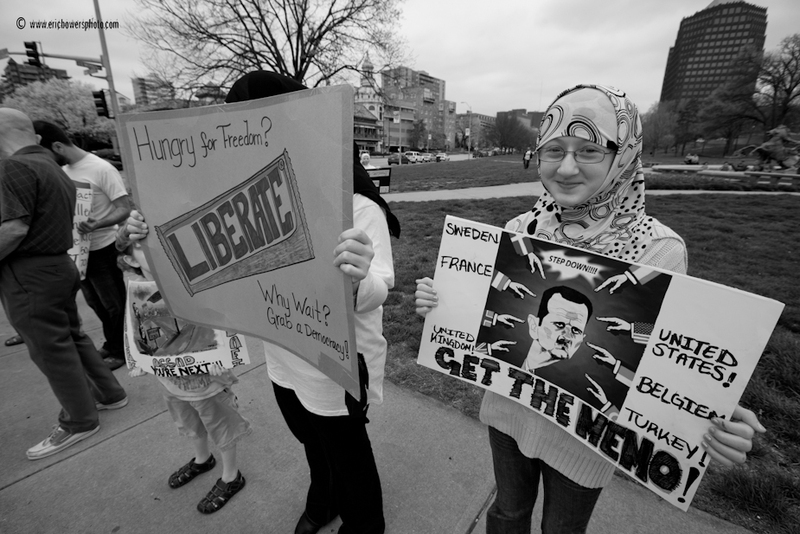 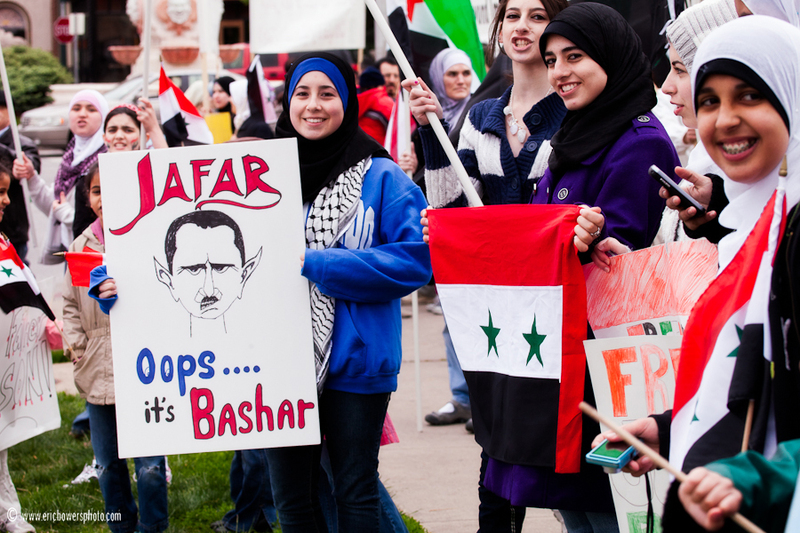 Another protest this week on Sunday was held near Nichols Fountain on the Plaza against Syria’s Bashar Al-Assad and his government. 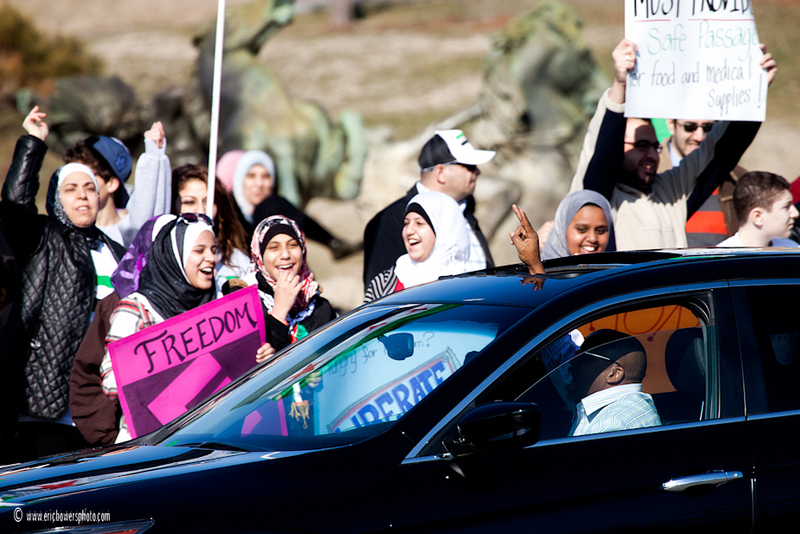 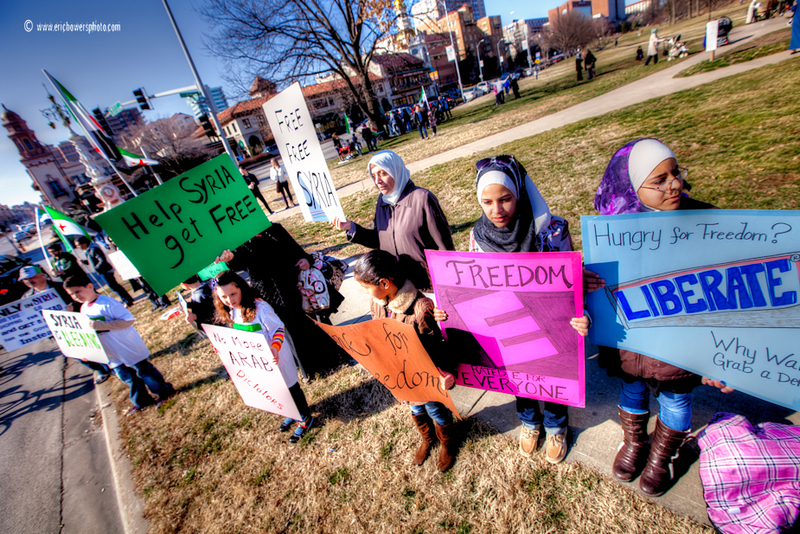 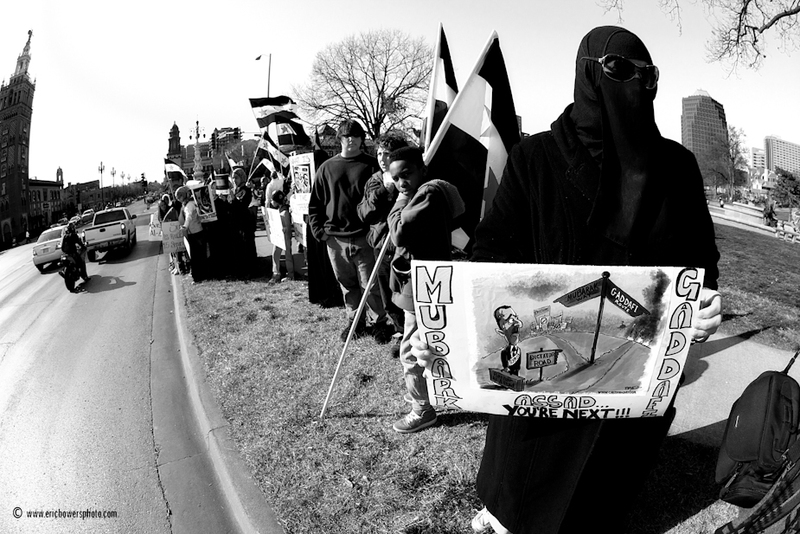 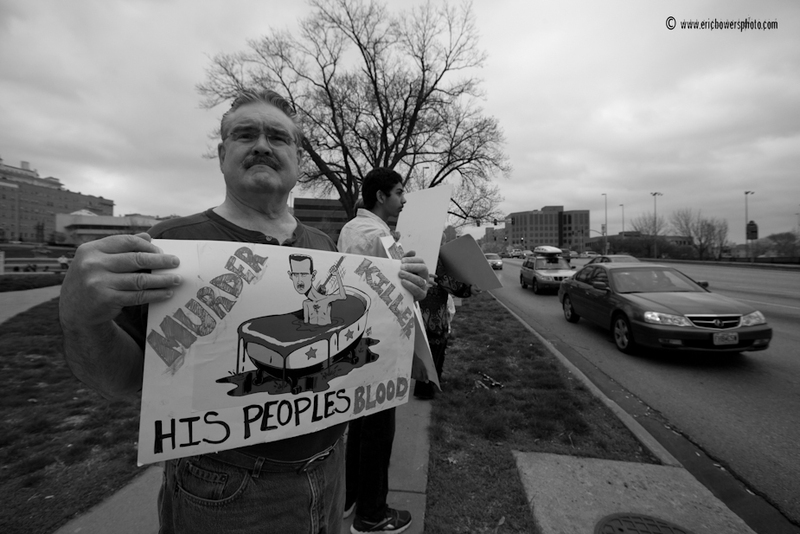 People from the mideast living in Kansas City have done a good job of holding solidarity protests alongside the overthrow of mid-eastern dictators over the past year. 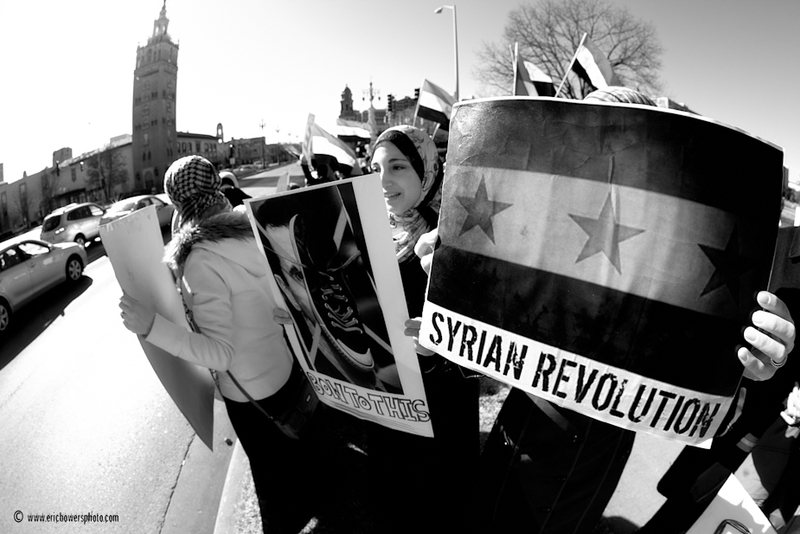 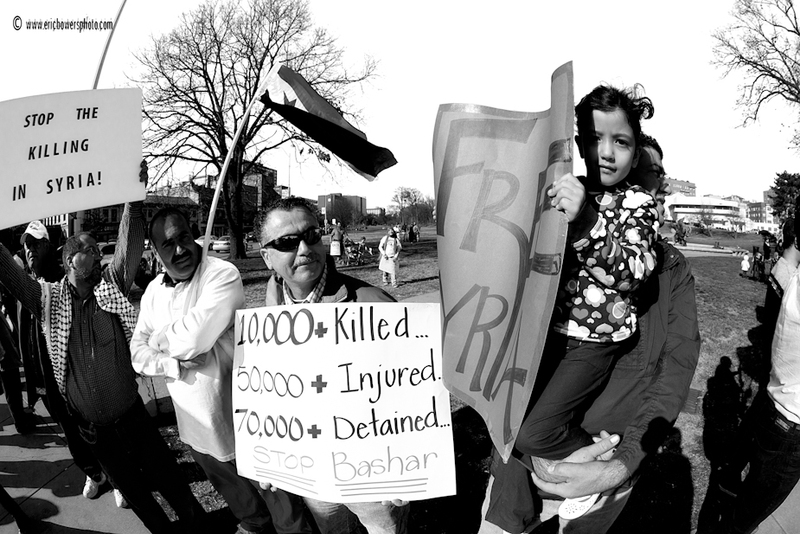 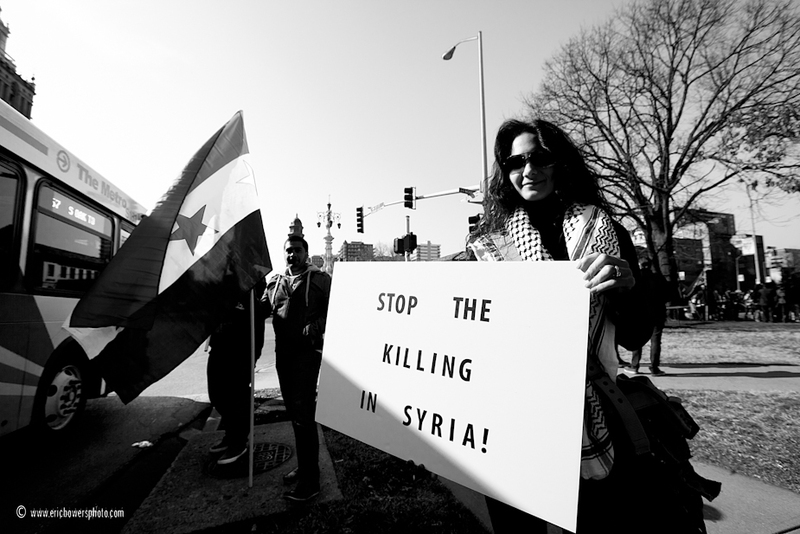 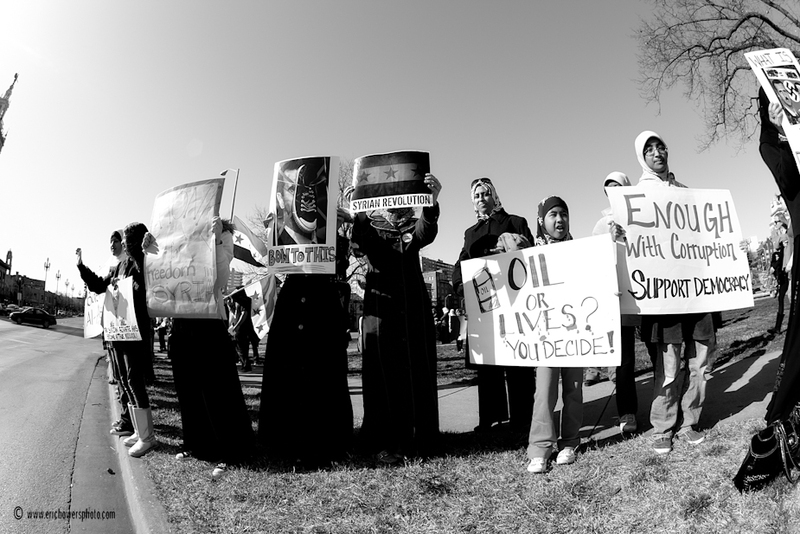 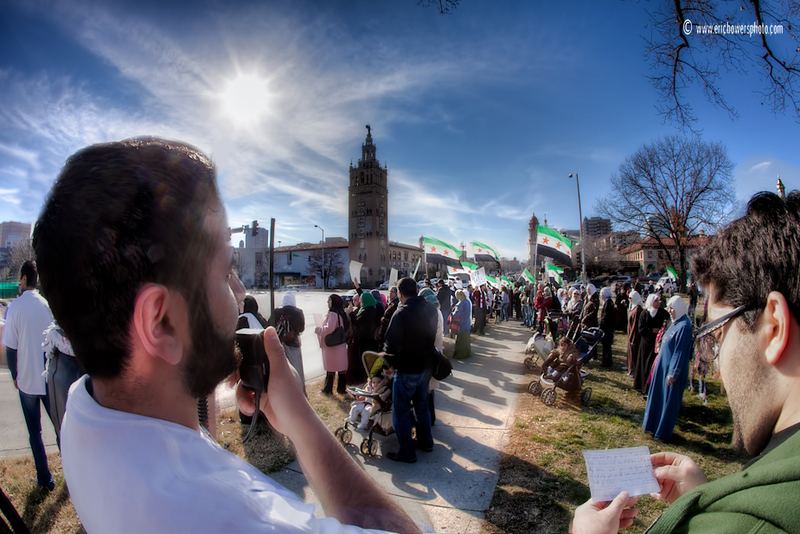 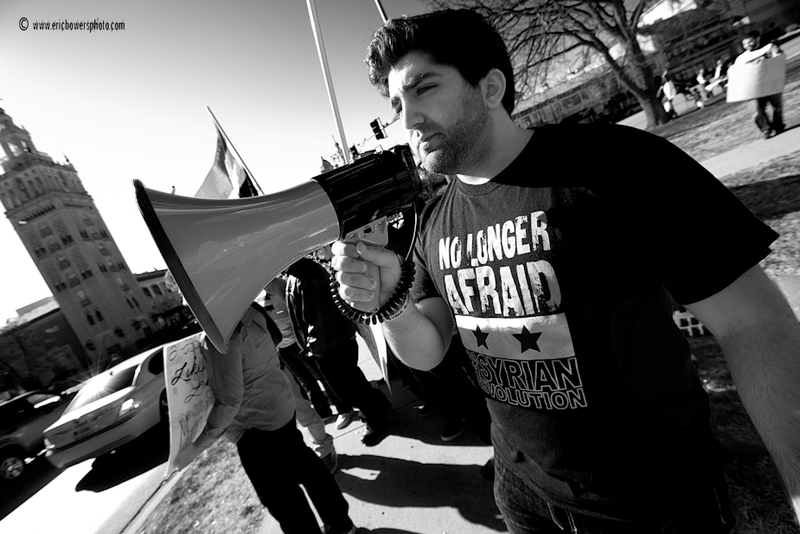 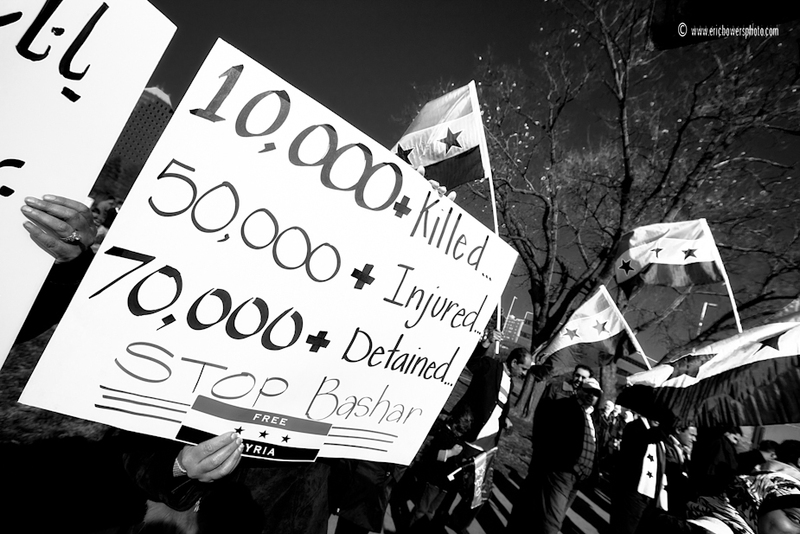 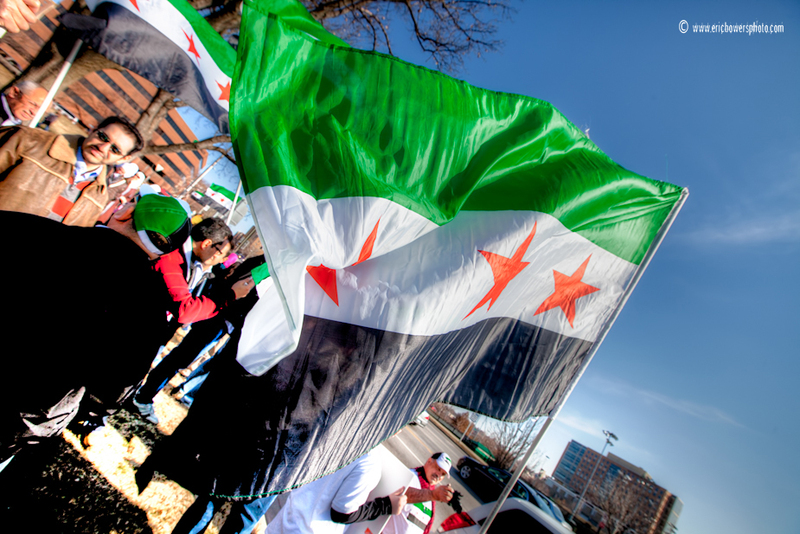 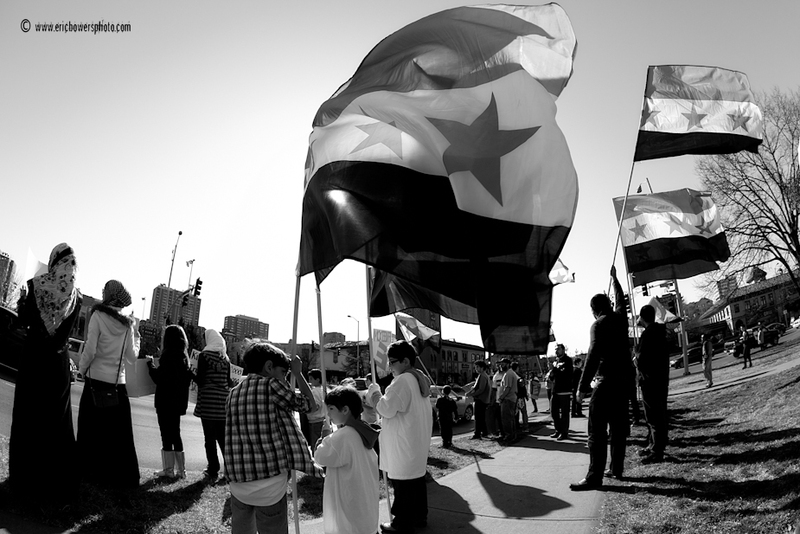 A protest took place Sunday afternoon (Feb 19 2012) on the Plaza in Kansas City, MO against the corrupt Bashar government in Syria. 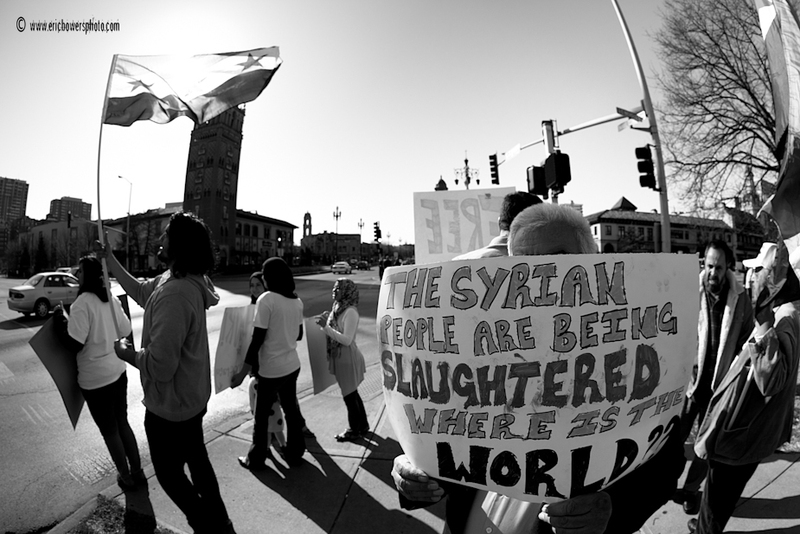 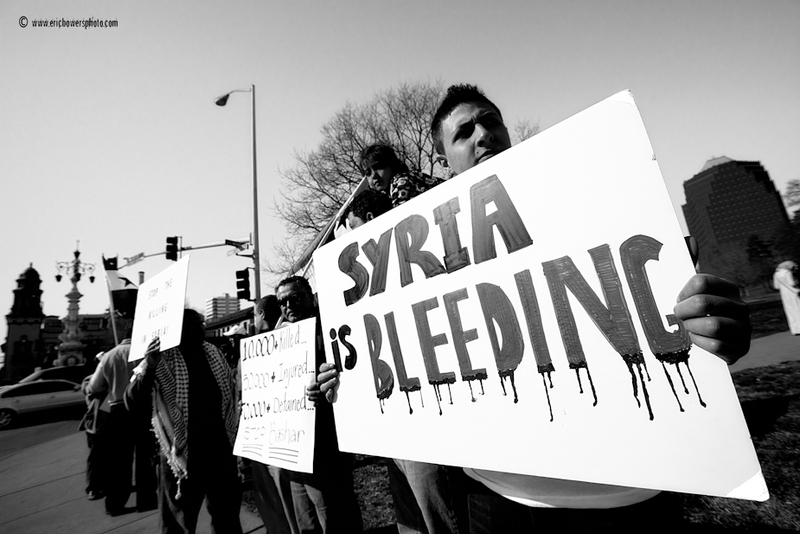 Widespread atrocities are reported in Syria at present, though it mostly goes unnoticed in the American media. 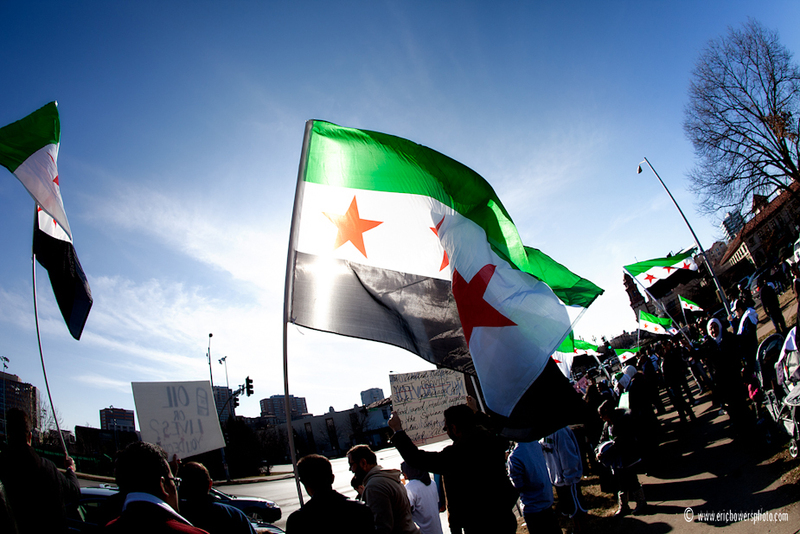 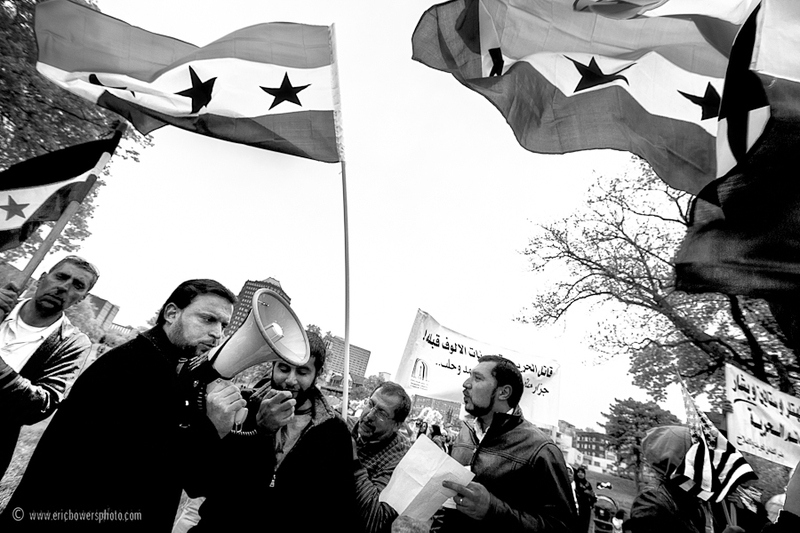 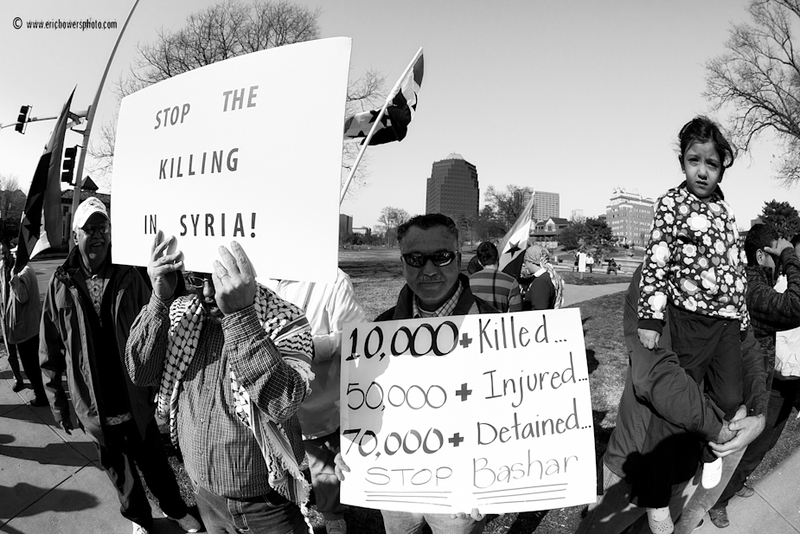 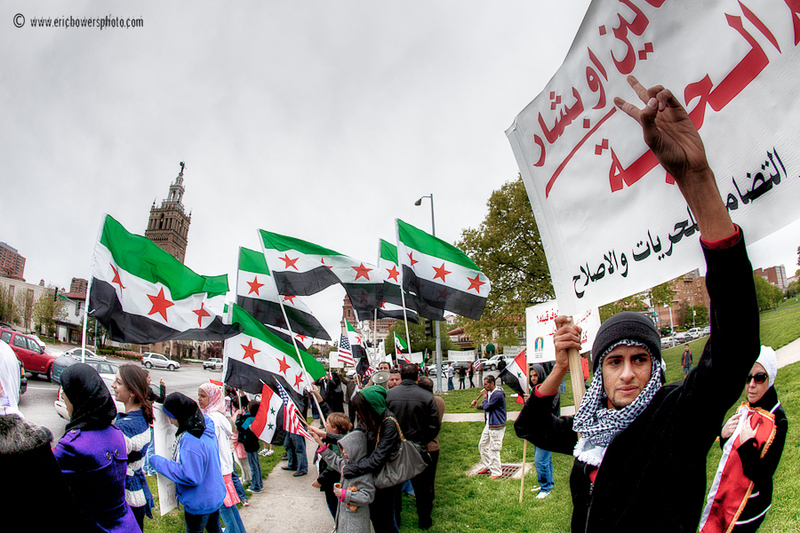 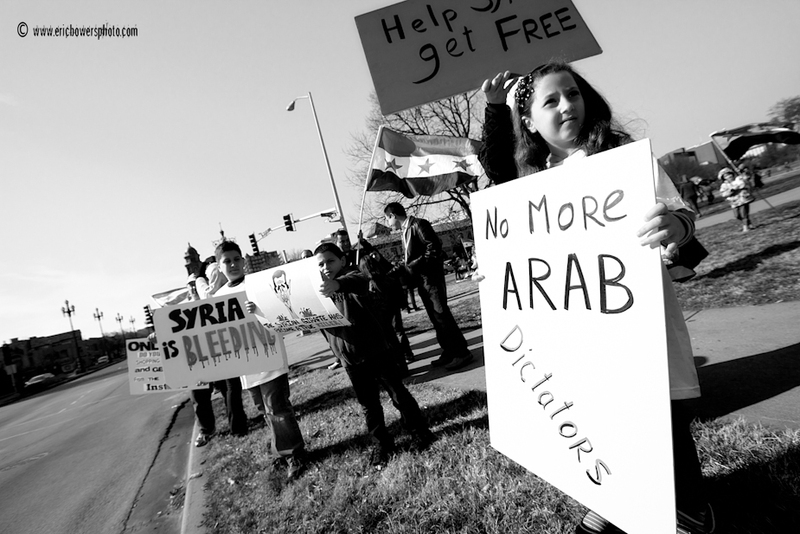 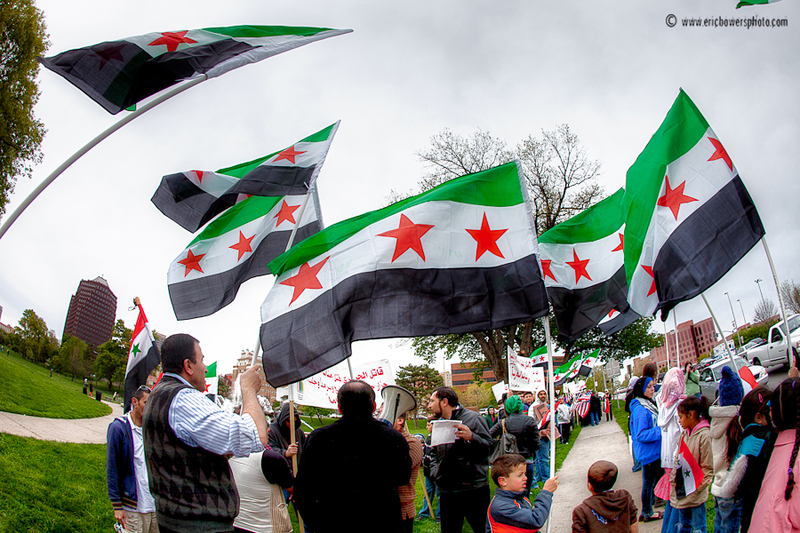 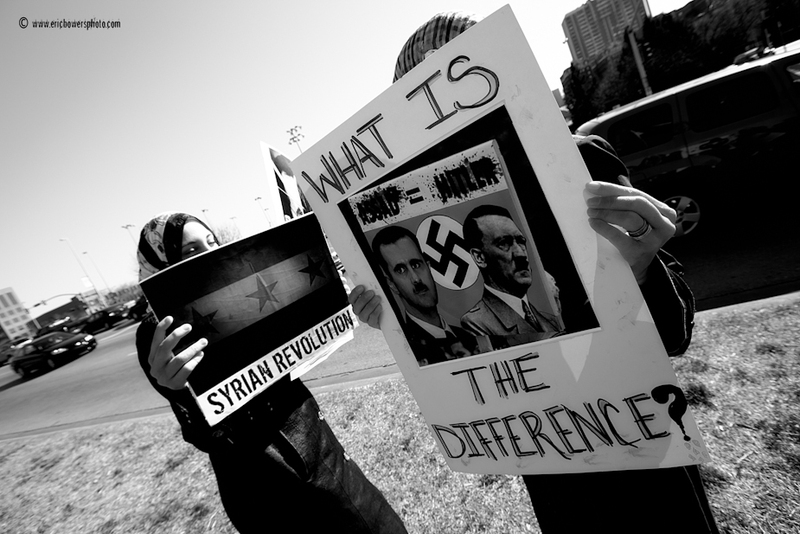 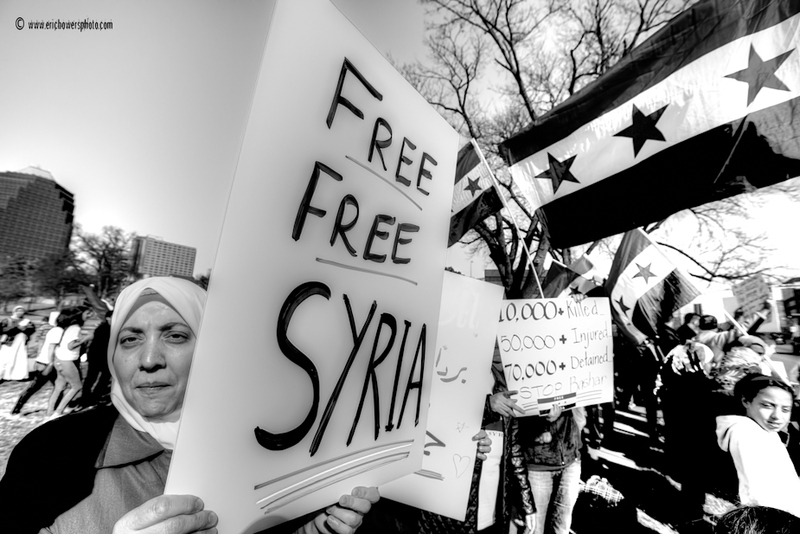 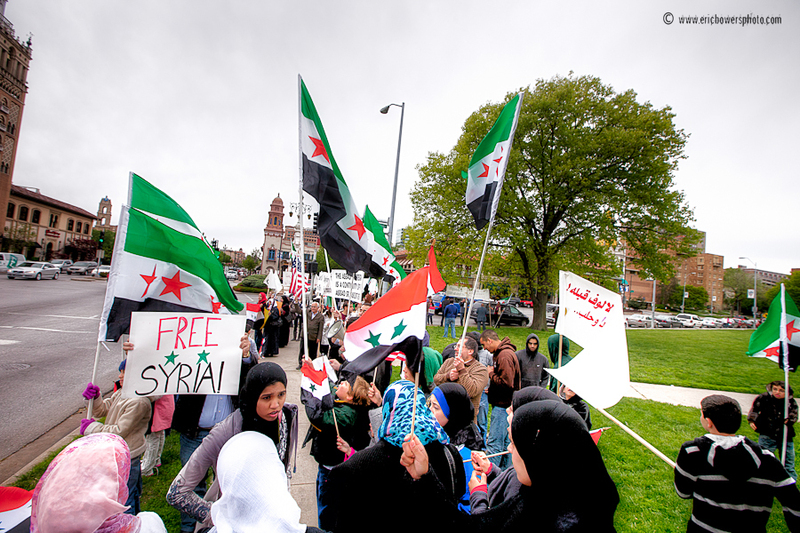 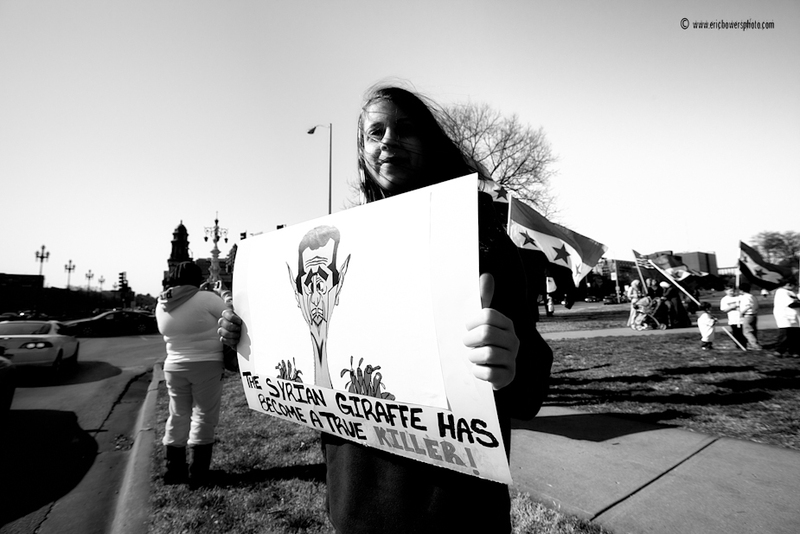 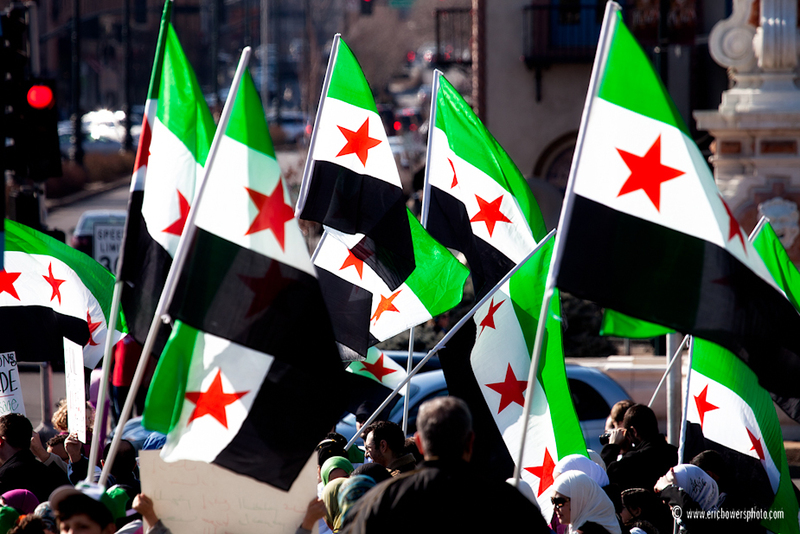 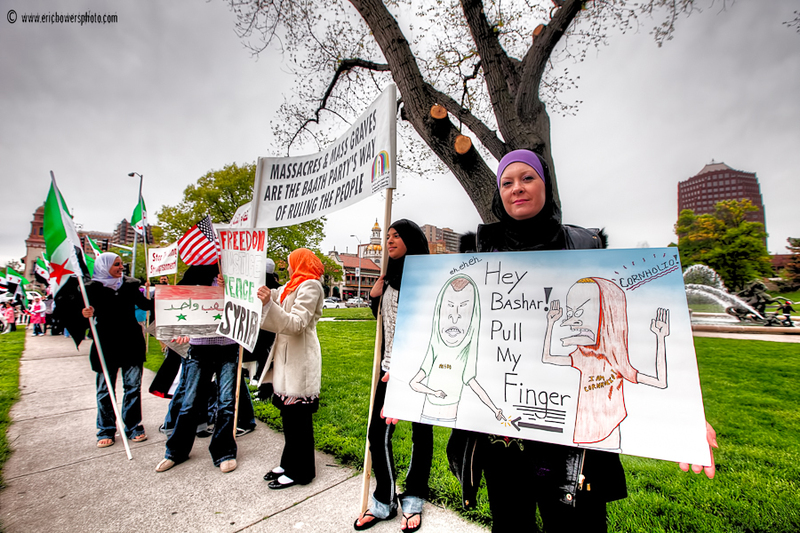 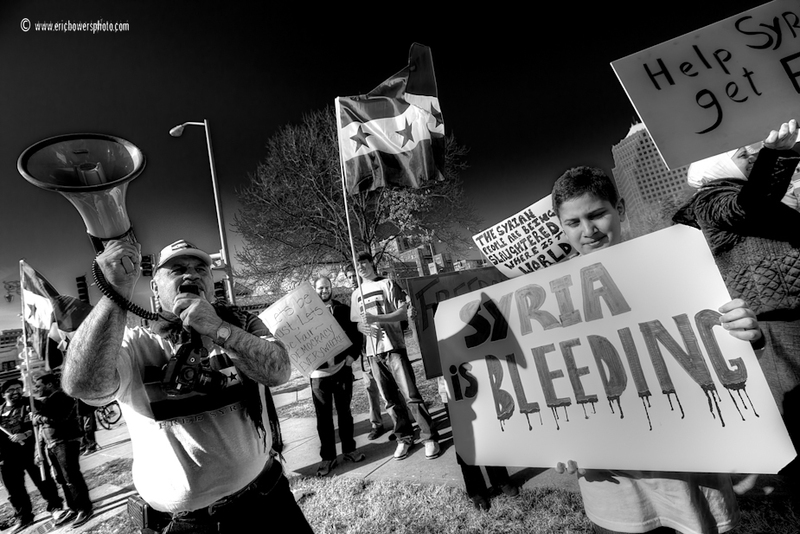 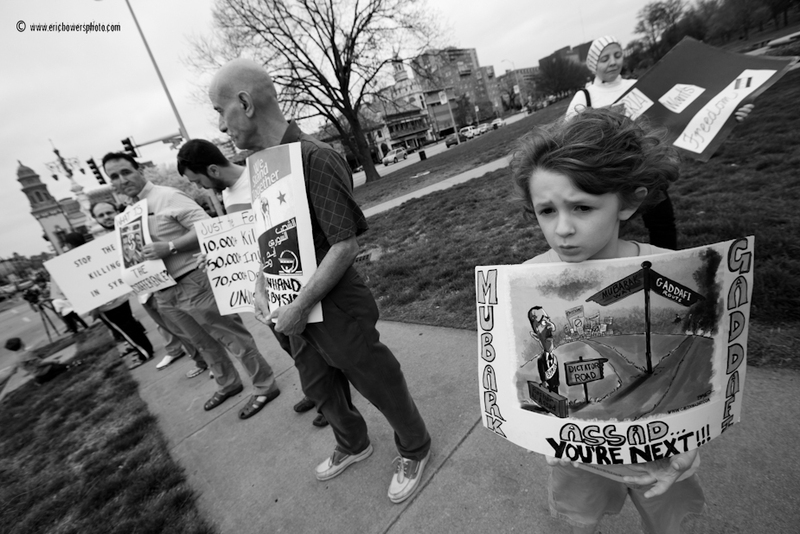 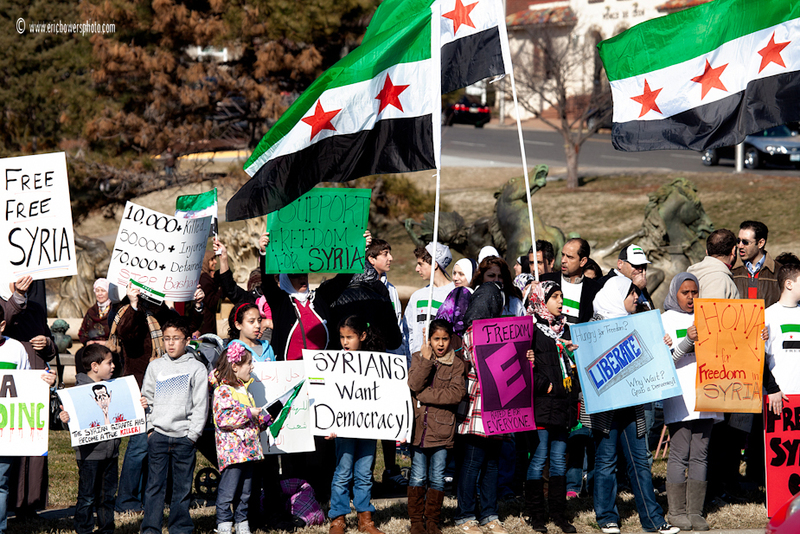 On Sunday afternoon at Mill Creek Park on the Plaza in Kansas City, a rally was organized encouraging the protesters in Syria currently being fired upon by government forces of Bashar al-Assad.